Let the holiday prep begin! What?! I cannot believe it is already November!! 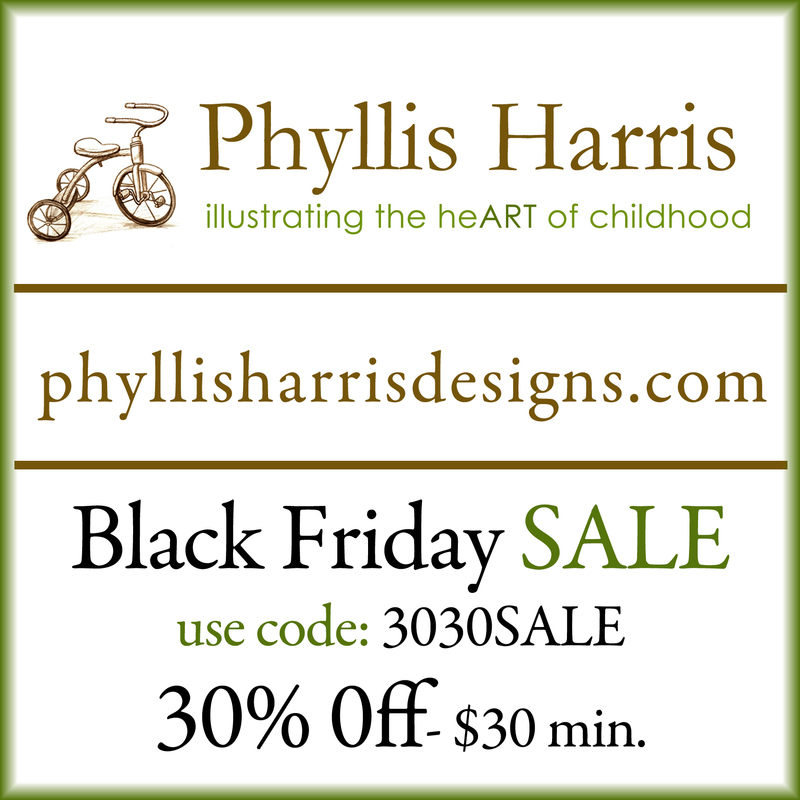 I've been very busy in the studio getting lots of things ready for the upcoming holiday shopping that is about to begin and for those early shoppers, I have a coupon code that can be used in either my shop or my Etsy shop. Be sure to enter THANKS15 at checkout and receive 15% off your order. 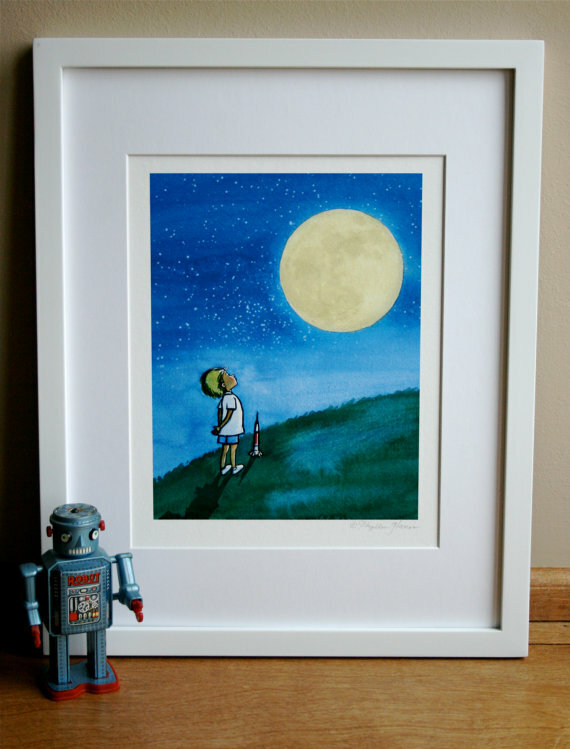 or this little boy and the man in the moon art print, featured in Vanity Fair's Gift guide. And for gifting those creative and crafty friends with my adult coloring books. What better way to help get through the sometimes stressful holiday preparations than sitting down with a coloring book to get that relaxing therapy that is so needed at the end of a long day. In fact, I recently read an article that stated, "The health benefits go beyond relaxation, and include exercising fine motor skills and training the brain to focus. Doctors have known about these benefits since the early 1900s. Psychiatrist Carl Jung, the founder of analytical psychology, prescribed coloring to his patients to calm and center their minds. Doctors today continue to follow Jung’s lead and still recommend the activity to combat anxiety. 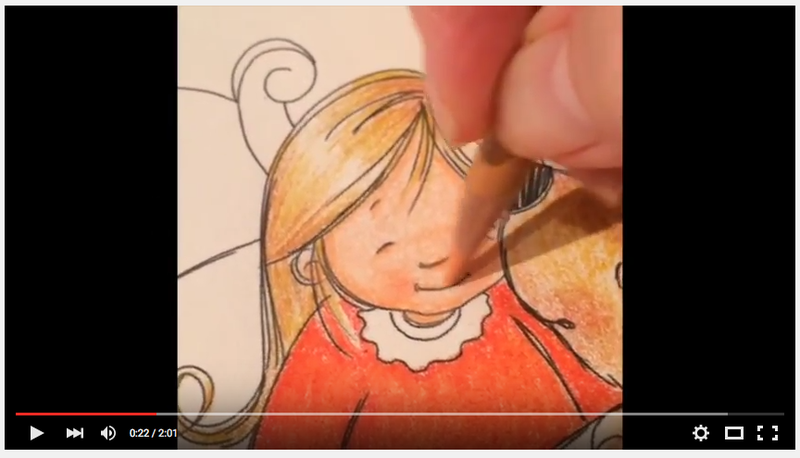 The fact that coloring is structured activates the logic part of the brain, and generates a creative mindset, said New York-based clinical psychologist Dr. Ben Michaelis. 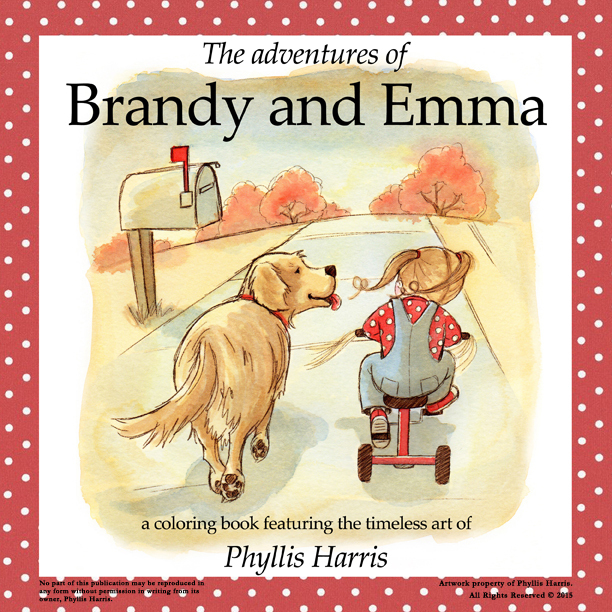 Be sure you check out my new short 2 minute video showing the interiors and more information about one of my favorite coloring books, The Adventures of Brandy and Emma that I offer by clicking on the video below. And for those of you who send out Christmas cards and want to get started early this year, I have a very limited supply of boxed Christmas Cards left in my Etsy shop. For more details follow the link by clicking on the photo. In my family, we always read a favorite Christmas book as a family throughout the holiday season. 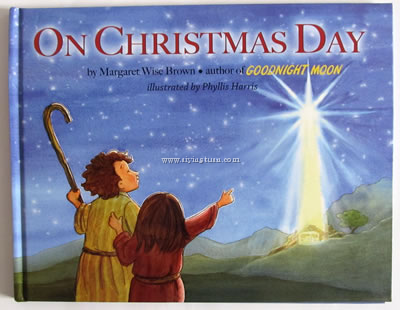 Why not start a new tradition with ON CHRISTMAS DAY, written by Margaret Wise Brown, author of the wonderful GOODNIGHT MOON and illustrated by me. I have a limited supply of the first edition copies in my shop and will sign each one that is ordered from there. As we enter into that time of year at Thanksgiving, I want to say just how thankful I am for ALL of you, my wonderful supporters and friends here, that make it possible for me to do what I love and have the opportunity to share it with the world. How could I ask for more? I am so grateful for each and every one of you! Lots of fun updates to share! I have lots of fun updates to share with you all! I've been very busy in the studio to get lots of things ready for the upcoming holiday shopping that is about to begin. Let's start with the Christmas Cards I have just added to my Etsy shop. This is a bit of an experiment as I don't usually carry cards in my shops. 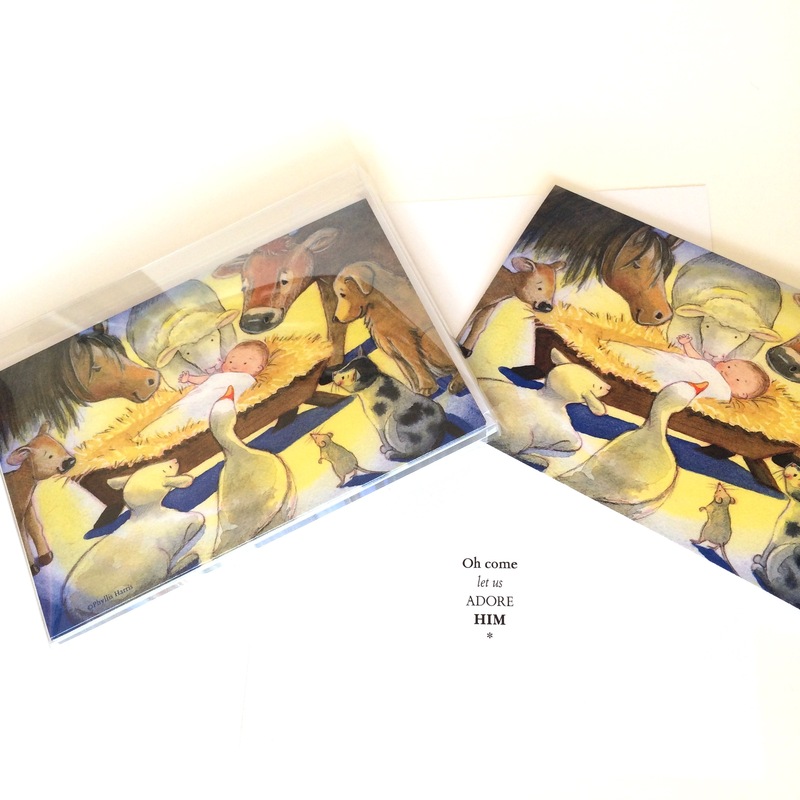 I have a very limited number of Christmas cards(boxed sets) that I just listed this afternoon here. If these sell out, I may try to reorder some more but I will have to wait and see. At the time I wrote this newsletter, there are only 7 boxes left since some of them were already spoken for so don't delay if you want one as they may sell out quickly! I just got them from the printer and they turned out beautiful! Very heavy card stock with matching white envelopes. Here is a peek at those cards. For more details follow the link by clicking on the photos. Other news... A few years back, I had the great honor and privilege to illustrate the words of the late and amazing Margaret Wise Brown, the author of GOODNIGHT MOON. 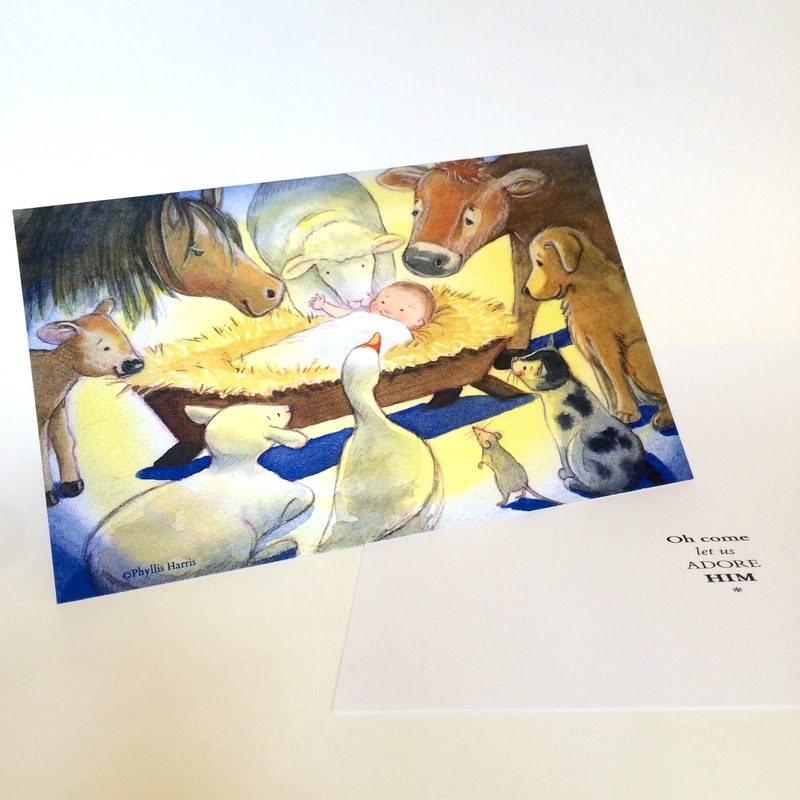 It is a sweet nativity story, titled ON CHRISTMAS DAY. I have decided to sell some of my first edition copies in my shop here. This is the first edition signed by the illustrator, me. This might be a fun one to add to to your family Christmas traditions. 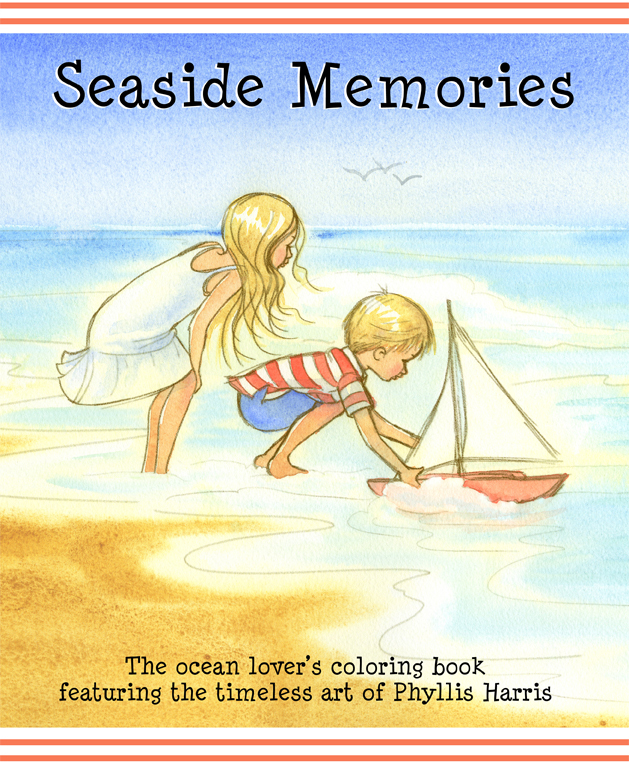 And now on to the adult coloring books that I now have available! 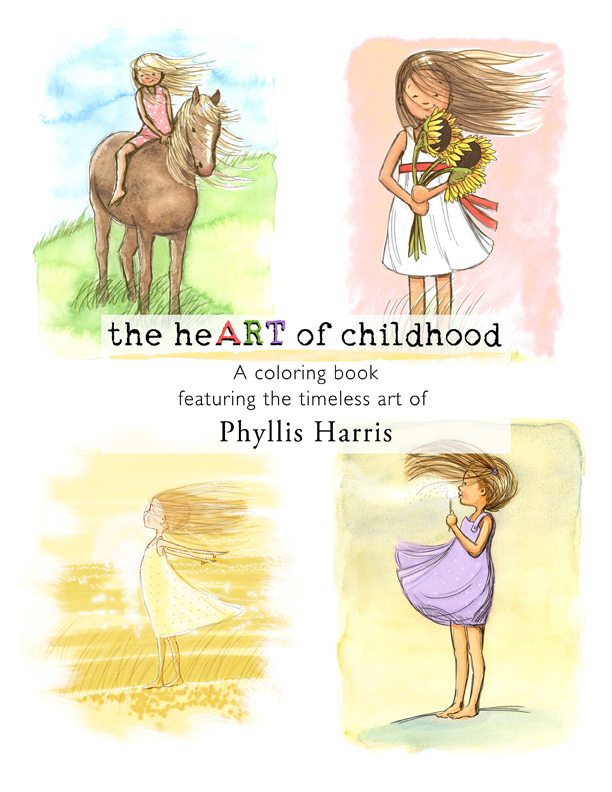 Fun and unique gift options for you or your crafty friends who love to color! There are now 3 to choose from! Click on the photos below to get more details of each. 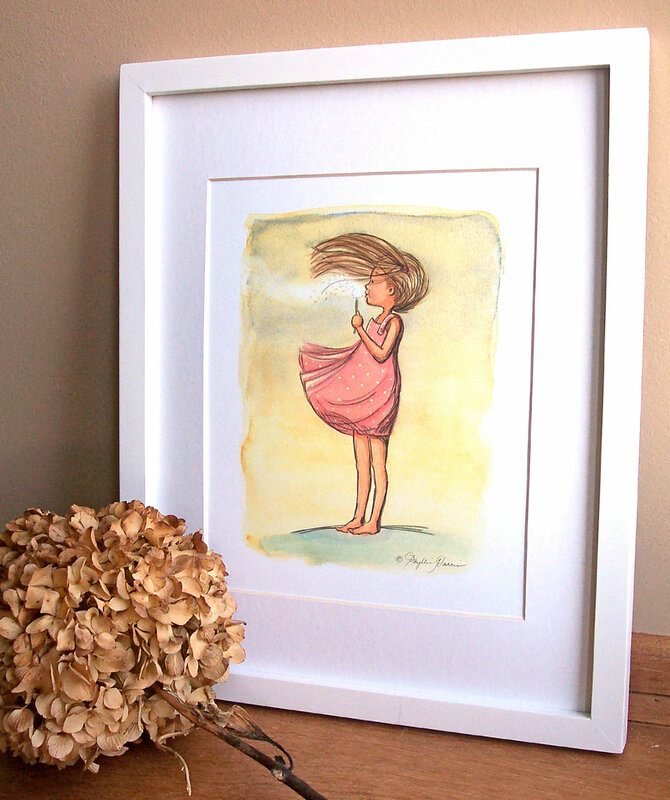 Besides all of the new fun products I have been adding to the shop there are LOTS of art prints to choose from, too!